I was diagnosed with breast cancer in January of 1998. I had a lumpectomy followed by chemotherapy and radiation. My prognosis was very good. Two-and-a-half years later, a lump appeared on my neck. It was the breast cancer in my lymph nodes. I took chemotherapy again. Two months later, I had another lump appear in the same area. My surgeon told my husband that he would not subject me to chemotherapy again, because it was not working for me. 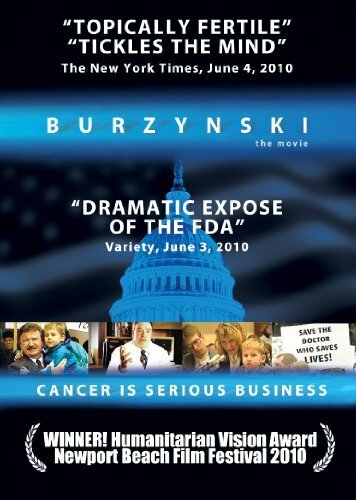 At this point, we called the Burzynski Clinic. Within a matter of a week, we were there. The Clinic ran all kinds of tests on me, to determine exactly what they were dealing with. Thankfully, the cancer had not spread to any of my organs or into my bones. It was in my lymph nodes in my neck, and, surprisingly, I had another tumor in my breast. The doctors laid out a plan for my recovery. It included a regimen of intravenous amino acids, sodium phenylbutyrate (PB), mildwer chemotherapy and a mastectomy. I came home 10 days later with my plan ready to be carried out. I stayed on this treatment regimen for 6 months, until I had finished my chemo and had my mastectomy. I went back to the clinic in February, 2002. At that point, I began tapering off the PB and the intravenous amino acids were stopped. By June, I was completely off PB’s and as of today, June, 2004, I am doing great. I credit Dr. Burzynski for saving my life. Had I not gone to him, I would have never known that I had a tumor in my breast again. Mammograms and ultra-sounds were not picking it up. My doctor at the Burzynski Clinic ordered a needle biopsy and found an approximately 7cm tumor. Later, when I had the mastectomy, the report came back that there was no tumor, just dead cancer cells. This was a result of the treatment that was prescribed and my following through on it. Had I not gone, I truly believe that I probably would not be here today. Through God’s leading me to the Burzynski Clinic, and the doctors and staff there, almost 3 years later, I am doing well and enjoying life again.